When we are in Santa Fe, I like to attempt at least one Southwestern-inspired dish, and with that, hopefully add an ingredient that is new to me. This recipe for Chicken Tamales sounded interesting and included tomatillos – a tart little tomato-like fruit that I have not cooked with before. However, I didn’t want to expend the energy to actually try making tamales, so I decided on making a casserole with a cornmeal topping, using this recipe as a base to get started. Even though this is not as complex as making tamales, there are quite a few parts to this recipe that can be time consuming. The good news is it can be separated into sections, and prepared ahead of time. As always, I recommend seeking out non-GMO, organic corn. I found frozen sweet white corn at Whole Foods (WF 365 Everyday Brand, organic and certified non-GMO). Bob’s Red Mill carries organic corn meal and flours. Cooking the chicken: Place the chicken in a saucepan with the onion, garlic, bay leaf, and oregano. Add enough water to cover the chicken well, and bring to a boil. Simmer, partially covered, for about 35 minutes. Remove from heat and allow the chicken to cool in the broth. When cool enough to handle, transfer the chicken to a bowl, and shred to bite-sized pieces using your fingers. Strain the broth into another container and reserve for making the corn meal crust. Refrigerate chicken and broth until ready to assemble the casserole. Preparing the tomatillo, cilantro, and green chile sauce: Preheat the oven to 400F. Place the tomatillos, onion, and garlic in a baking dish large enough to hold everything in one layer. (Note: you can use the same baking dish, unwashed, to assemble the casserole later. Less cleaning!) Toss with enough EVOO to coat the dish and the ingredients. Roast at 400F for 25-30 minutes, stirring occasionally, until everything is soft and starting to caramelize around the edges. Remove from the oven and allow to cool somewhat. Transfer to a blender or food processor. Add the green chiles, cumin, lime juice, and cilantro. Process until well-blended. Transfer the mixture to a saucepan. Add the shredded chicken, corn and cheeses. Heat over medium heat, stirring, until the cheese has melted. Remove from heat and season to taste with salt and pepper. (The cotija is pretty salty, so you may not need much, if any, salt.) Spread the mixture evenly in an oiled casserole dish (such as the one you just used to roast the tomatillos). Add the beaten egg and broth to the mixture, and stir until everything is just moistened (do not overmix). Spread the corn meal crust mixture evenly over the chicken mixture in the pan, taking care not to disturb the chicken layer too much. Bake at 400F for about 45 minutes, until the topping is browned and crispy. Allow to cool for 5 minutes, and dig in! Serve with avocado, limes, and/or a dollop of sour cream on the side, if desired. 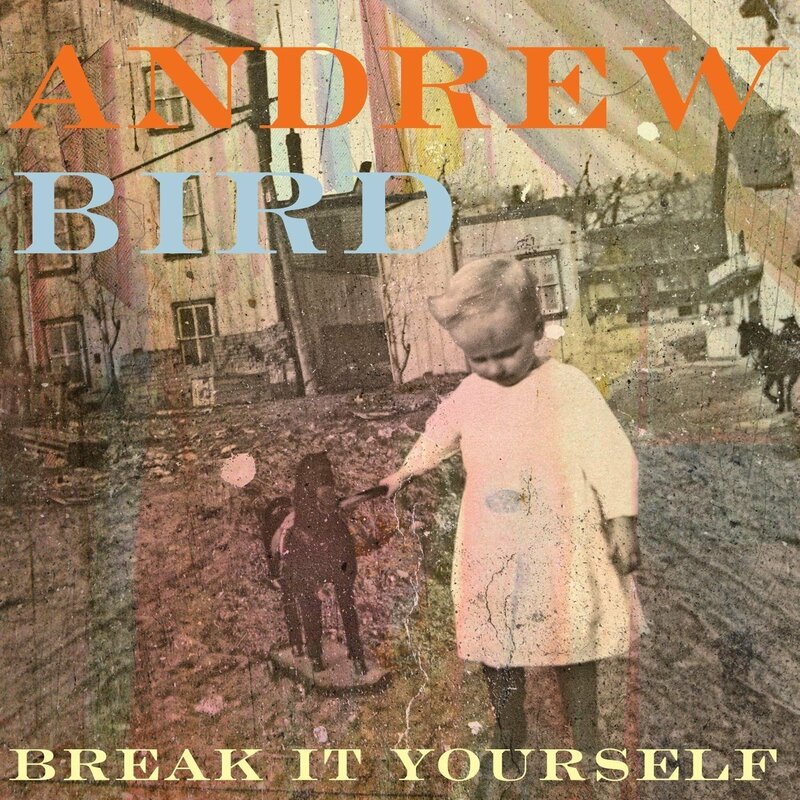 Another good find in Santa Fe, this time at a Goodwill store…Andrew Bird! I’ve been a fan of his from way back. A dazzling instrumentalist, a quirky, beguiling songwriter, he makes a world all his own. Found Noble Beast , and it was a hit here at the Rockin’ Frog. Some folks call it “chamber pop” and that will do as well as anything. Bird’s violin starts the mood, and his sophisticated and witty looks at love and life are spellbinding. His latest release, the 2012 Break It Yourself continues his masterful way of making music his own. 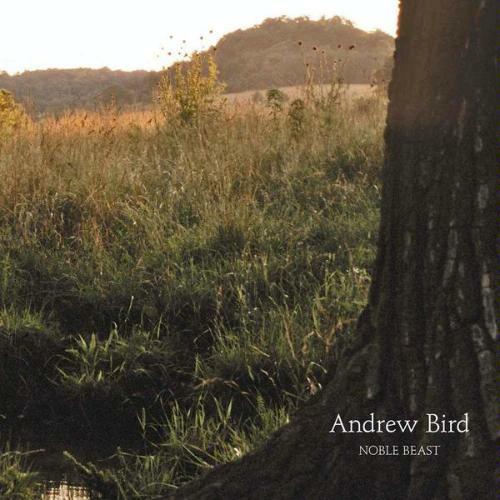 Try Andrew Bird…you won’t be sorry! How awesome that your latest recipe calls for both chicken and tomatillo (love them), as that’s what on deck for tomorrow’s dinner. Hearts. Great minds, and all…. Thanks Rose! I stumbled upon this recipe on Pinterest, and I made it for dinner tonight. It was amazing! However, the crust on top of mine is much more scant than what it looks like in your pictures. It looks kind of like a crumble with some holes in it, since there wasn’t enough to cover up the chicken mixture in my 9×12 casserole pan. But it tasted great!!! I just measured the pan I used and it was 8×11…oops! Sorry your crust didn’t cover the casserole. Probably increasing the ingredients by 1/2 would fix that. Thanks for letting me know, and I’m glad you enjoyed it anyway! This entry was posted on February 21, 2013 by She cooks...He cleans in Entrees, Poultry and tagged baked, brunch, casserole, cheese, chicken, cilantro, corn, corn bread topping, corn flour, corn meal, cotija, garlic, gluten free, green chile, Hatch, lime, Mexican, monterey jack, New Mexico, primal, recipe, roasted, Southwestern, tamale, tamale filling, tamale pie, tomatillos.